Why use our Billing System? Allow us tell you more about Bill Again and how our online software will benefit you. Through streamlining your admin process and saving you time while improving your cash flow. Is our Billing System for you? Do you charge for a service, product, membership or anything else on a recurring basis? Would you prefer to automate your invoices process? Do you want to offer online payment processing to streamline your admin process? BILL AGAIN IS FOR YOU! Who we created our online software for? Bill Again is the conceptualization of The Code Group, basing it on their extensive experience in creating tailored made administration and business management platforms for companies specific to their needs. 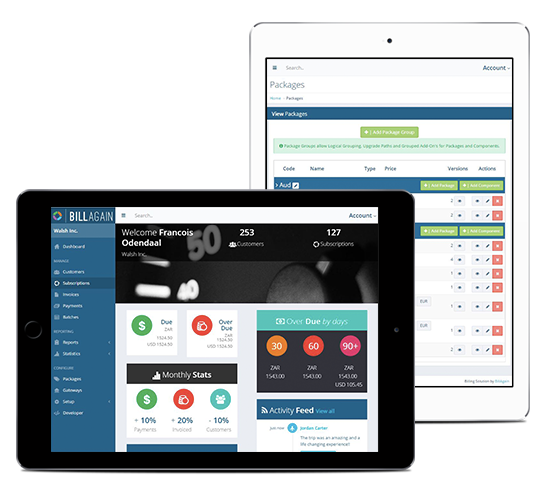 Regretfully most businesses do not have the capabilities to invest in a creating their own management software and hence the idea for Bill Again was derived. Bill Again essentially incorporates most of the sort after and requested features our past projects have depicted and we have worked hard at making it as adaptable to various industries as possible. 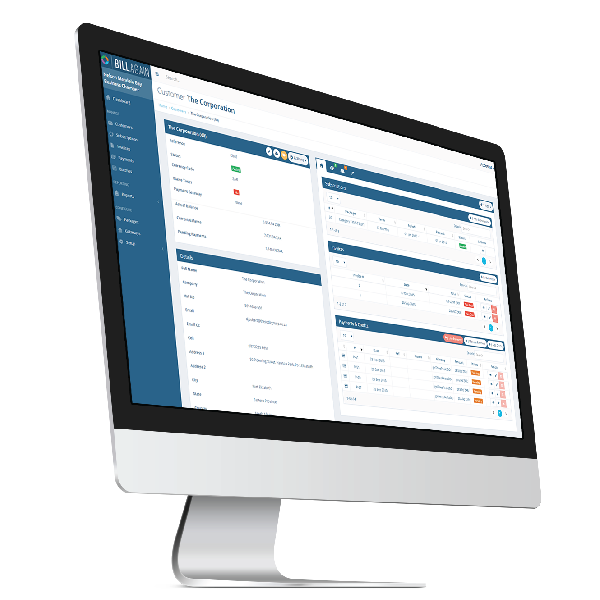 We are excited and confident that our online software will, create more time for you and your admin staff, increase your cash flow and allow you to have the necessary information to make great decisions. Ultimately we want to make your life easier and assist in enabling your business to be sustainable in the long term. Our Team has grown to 16 members with expertise in project management, app development, graphic design and so much more. We are more than happy to assist with all your I.T requirements. The two directors both received the Port Elizabeth Business Chamber accolade – Top 40 under 40. Our vision is for our Bill Again online software to become the most sort after and valued tool in a business owner’s arsenal. Enabling them and their staff to have a streamlined, time efficient and accurate admin process. One that automates the bulk of the necessary processing as well as creates vital, valuable reports on their customers and sales information. Our mission to convince business owners to embrace technology and depict the advantages of automating their admin process, offering online payment processing, API integration and how this will improve their cash flow. As well as emphasizing the value of having access to accurate reports to make better, more informed decisions in real time. Customisable setup of multiple products and services.